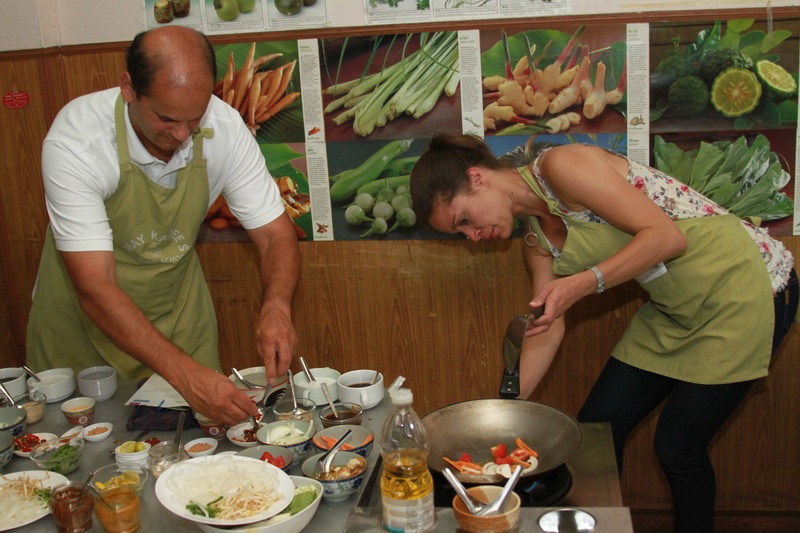 I was in Bangkok for business last week and was looking for something to do over the weekend (rather than the usual temples and sightseeing) and came across a Vegetarian Thai Cooking class a short cab ride from the Sheraton Grande. 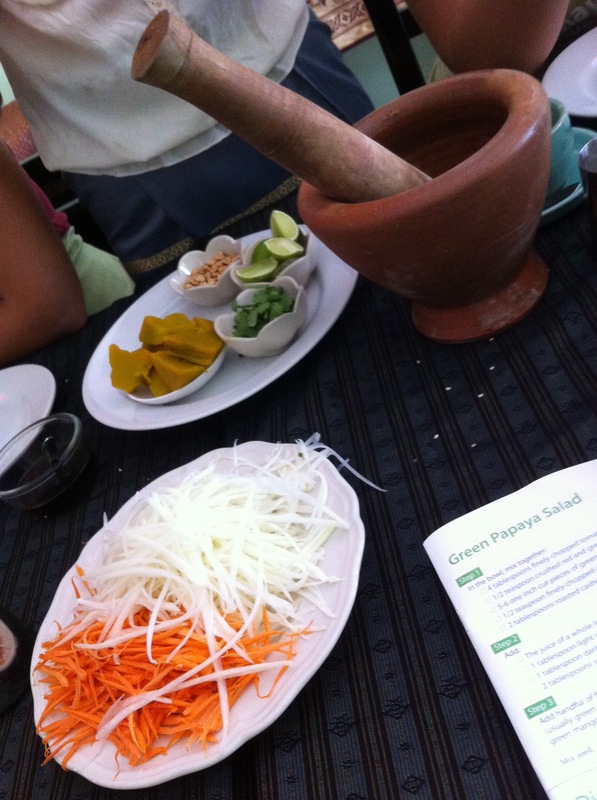 The class was about 5 hours long and we covered all the basics including spices, soy sauce, tom yum paste, and sauces. There were six students, all from different parts of the world (Switzerland, Germany and the US). 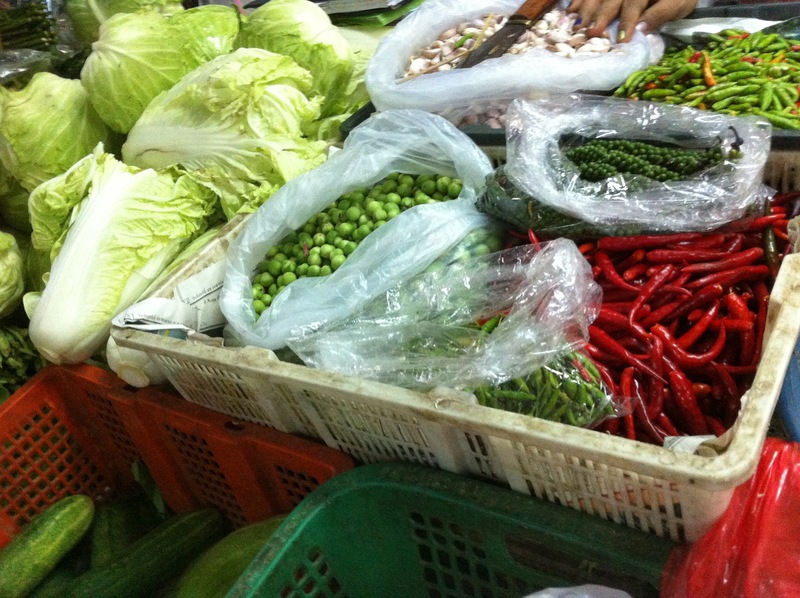 We started out with a short trip to the local farmers market. The lady in front is the teacher May Kaidee. Most of the prep was already done by May’s assistants. 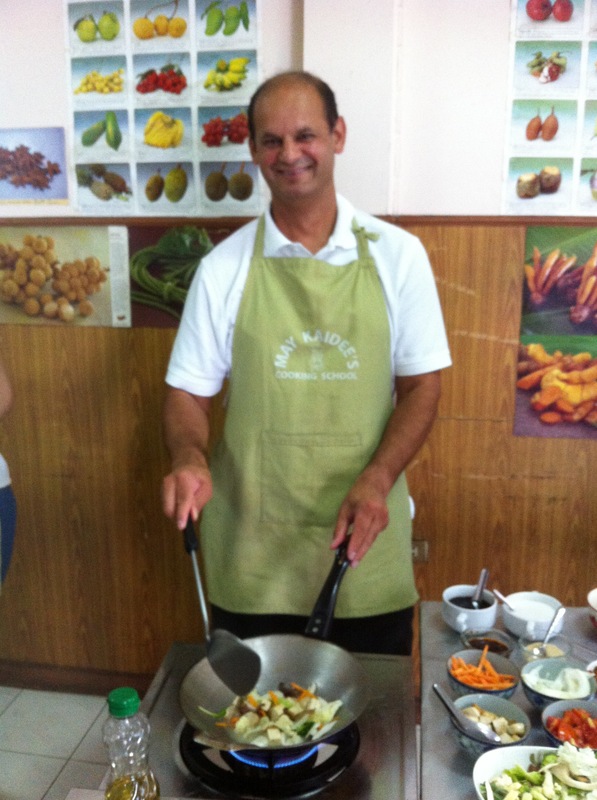 All we had to do was the wok cooking. 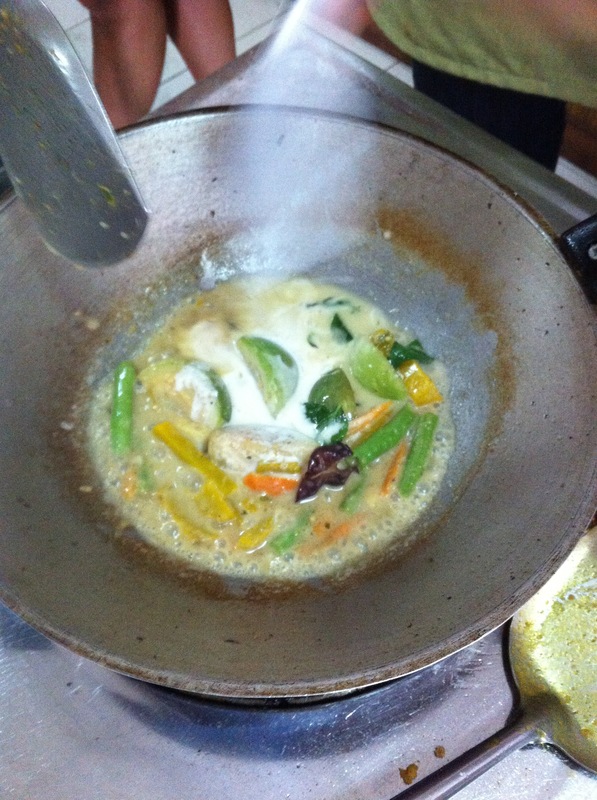 Thai cooking is pretty easy. Fresh, wholesome ingredients and just 5-10 minutes of cooking time. 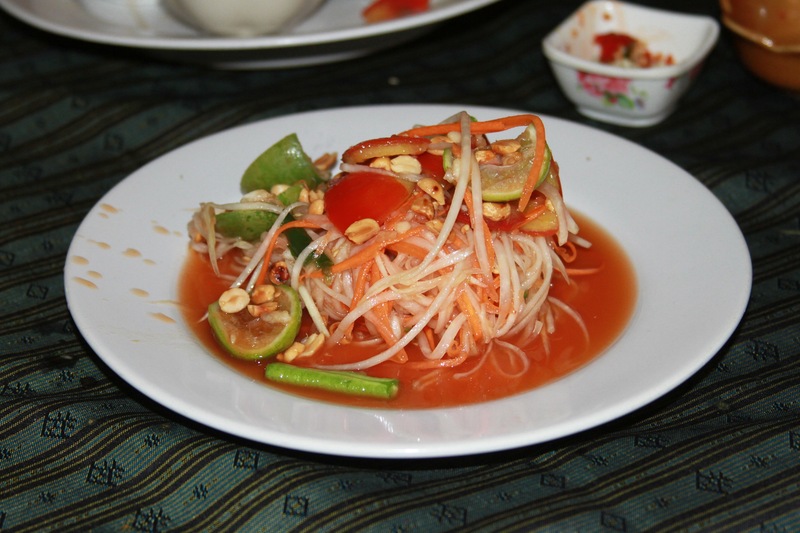 We each made Tom Yum, Tom Kha, Pad Thai, Green Curry, Massaman Curry, Green and Red Chili Paste, Peanut Sauce and Green Papaya Salad. 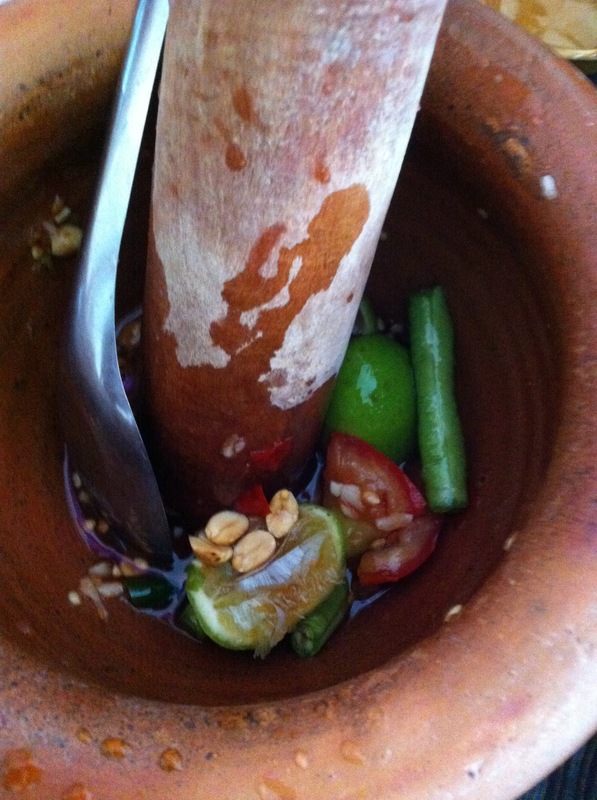 The best part was eating everything and knowing there was no fish sauce or shrimp paste in the food! It was all vegetarian and tasted yummy. 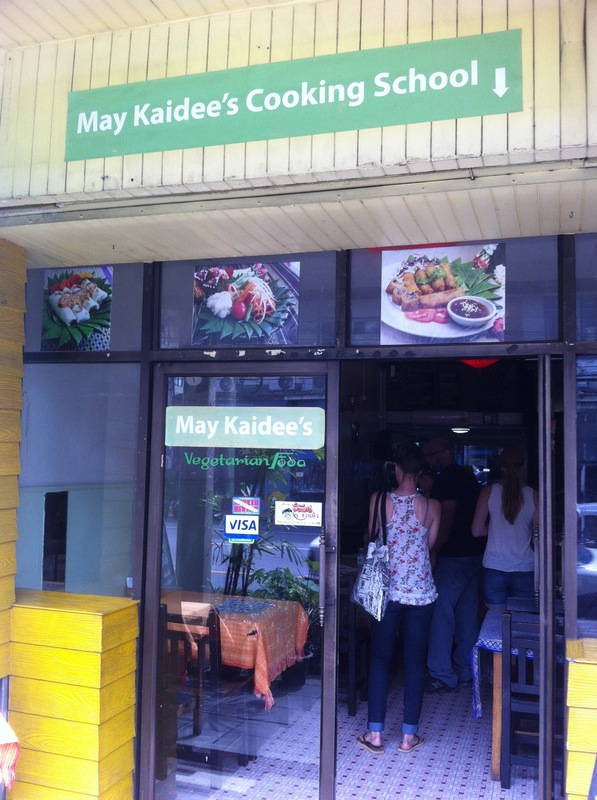 I would recommend May Kaidee’s Cooking class if you are ever in the Bangkok area.